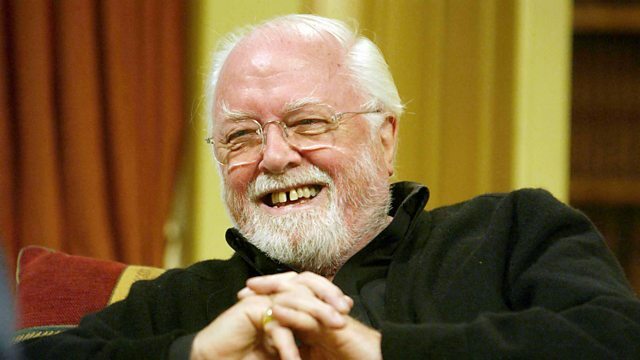 Francine Stock visits the archive of Richard Attenborough in the University of Sussex, which contains over 700 boxes of letters, photos and reviews, as it opens to the public. Francine Stock visits the archive of Richard Attenborough in the University of Sussex, which contains over 700 boxes of letters, photos, film reviews and a Chelsea shirt signed by John Terry. As it opens to the public for the first time, Richard's son Michael Attenborough reveals the memories that the archive has evoked, like his visit to the set of Gandhi, while archivist Eleanor King takes Francine through some of the vast collection. Louise Brooks launched a thousand haircuts with her idiosyncratic take on the bob, but historian Pamela Hutchinson argues that she was more than just a style icon. Listener Julie Ma presents her three rules for the depiction of East Asian characters that she'd like film-makers to follow. On the podcast: Francine Stock presents the story of Ida Lupino, the actress from Herne Hill who became a Hollywood star and a ground-breaking director, the only female film-maker working in the industry for a long while in the 40s and 50s.